Culina’s PRONTO Lunch has been extended by popular demand. Available Monday–Saturday 11:30am-2pm. Join us for our second annual MAMMA MIA! 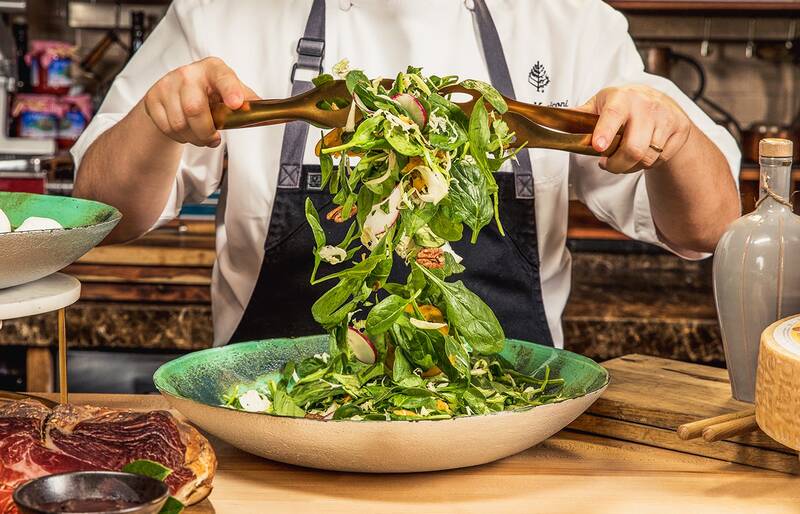 In celebration of Mother’s Day, Four Seasons Hotel Los Angeles at Beverly Hills is flying in Chef Luca Moriconi’s own mother, Grazia for a week of authentic Italian-style feasting and screenings. 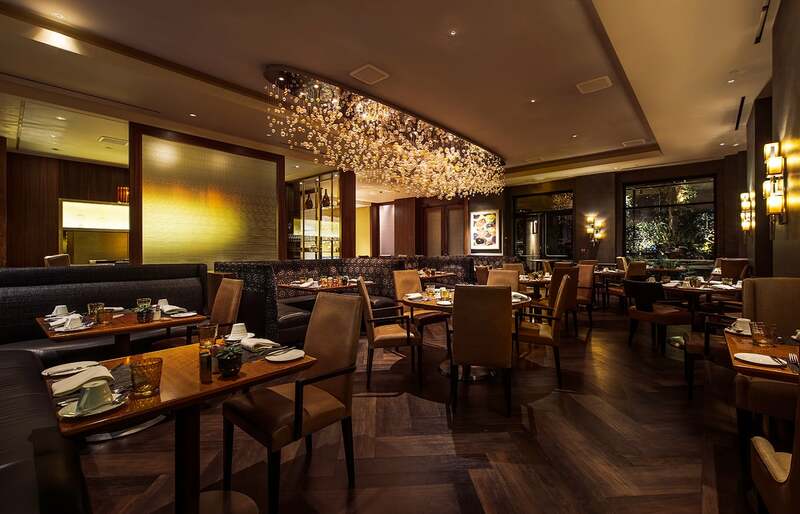 From Wednesday, May 8 – Friday, May 10, 2019, Culina at Four Seasons Hotel Los Angeles at Beverly Hills is celebrating Mother’s Day with an extra special touch – the hotel is flying in Chef Luca Moriconi’s own mother, Grazia, from Lucca, Italy for another special ‘mother and son’ dinner and a movie series. Guests can enjoy Mama Grazia's special three-course prix fixe menu followed by a showing of a thoughtfully-selected Mother’s Day-themed movie inside the property’s private Screening Room for $59 per person. The heartwarming “Mamma Mia” cinematic package, which includes dinner at 6:00 p.m. followed by the film screening at 8:00 p.m., is open to the public. Reservations are essential and can be made by calling 310.860.4000. Culina's PRONTO Lunch has been extended by popular demand. 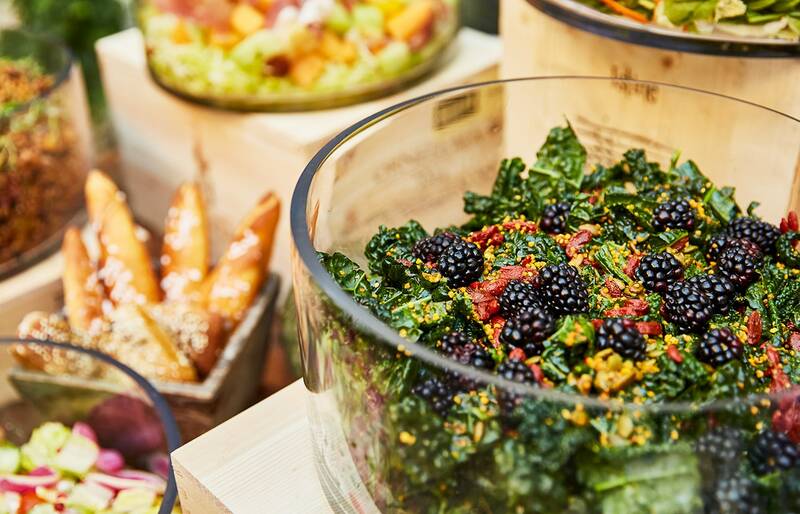 The Market inspired buffet includes a selection of salads, cheese and charcuterie with a choice of protein. Dessert includes a selection of fresh fruit and more. Not your ordinary Los Angeles Italian restaurant. Grab a seat in the bar, invite a friend, have dinner for eight, then wind up fireside — admiring the succulent wall with a carafe of your new favorite wine. A casual, flexible, affordable neighborhood LA restaurant — this is your Culina. Culina has been recognized as one of Wine Spectator’s “Best Award of Excellence” in 2018, the “Best New Restaurants” by Esquire magazine, one of the “100 Best Wine Restaurants” of 2011 by Wine Enthusiast magazine, one of the top restaurants in Los Angeles by Zagat, and one of the “Hollywood’s 25 Top Power Lunch Restaurants” by The Hollywood Reporter. See for yourself what makes Culina one of LA’s most exciting restaurants when you take this virtual tour or take a sneak peek at Culina’s PRONTO Market Lunch by viewing this video. Host your upcoming event in one of Culina’s exclusive private dining rooms. Culina caters to all occasions including corporate events, rehearsal dinners, Awards Season parties, holiday celebrations, and more.